Last year (almost to the day) I went hands-on with a soft-launch build of Phantomgate: The Last Valkyrie. It was clear the game leaned heavily on gacha mechanics, but thankfully its solid platforming gameplay mixed with classic turn-based RPG battles makes for an enjoyable experience. There's still plenty of issues to look out for, such as diminishing stamina tied to each fight, not to mention a wide range of in-app purchases that reach up to $99.99 per item. Luckily, for a lot of the gameplay, you can ignore these issues, which is why I recommend checking this title out so that you can make up your own mind. The graphics are of course a big draw, and I have to give credit where it's due, as this is a great looking game. The gorgeous design is very fitting for something based around Norse mythology. Each stage is a sight to behold, and the 3D character models look great as they traverse the beautiful world. Getting down to the nitty-gritty. There are over 300 companions to collect, and you can choose how to evolve each one into a powerful new form. Your job is to help unravel the story of the protagonist's mysterious past as you uncover an unforgettable and emotional tale, though I can't say much of it is very memorable. There are six separate regions to make your way through, and each one looks different from the last. Puzzles play an essential role in reaching these new zones, which gives the platforming a slight Metroidvania bend. 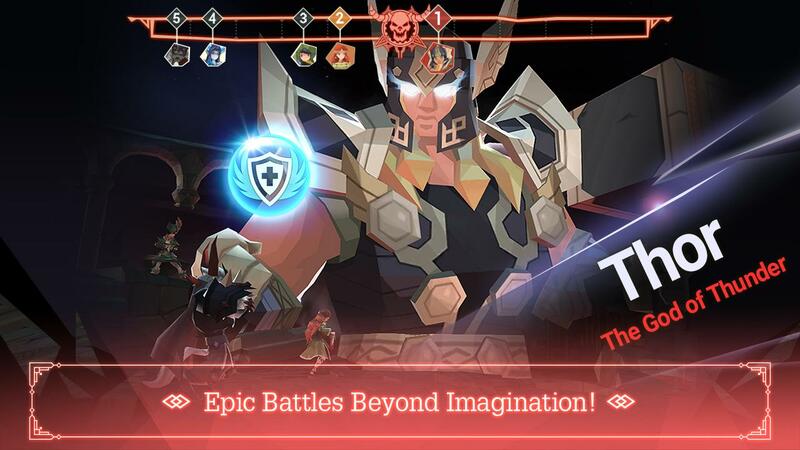 Despite the many downsides to playing a free-to-play gacha game from the likes of Netmarble, there is a lot to like about Phantomgate: The Last Valkyrie. The design is beautiful, the platforming is enjoyable, and the turn-based battles should be comfortingly familiar for any RPG fan. 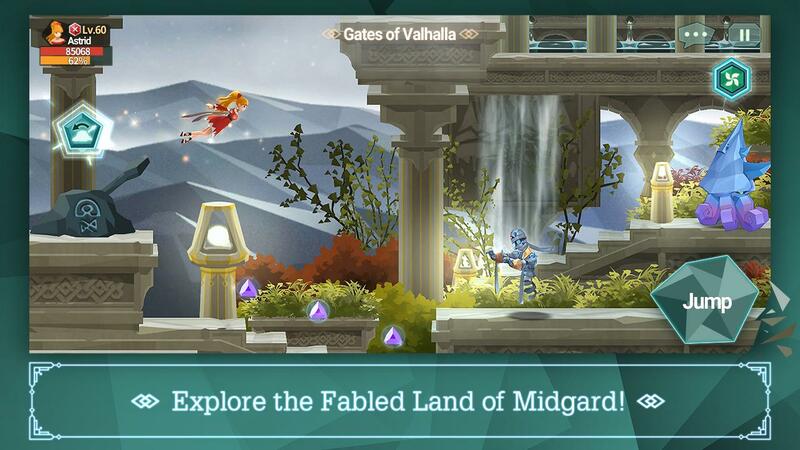 Think of this release as a free-to-play version of Child of Light, and you get the picture. It may not offer something wholly original, but it's not bad for what it is. · Turn-Based Combat Buffs and Debuffs - During battles in Phantomgate, bubbles with upgrade and downgrade effects spawn randomly for players to tap and drag to appropriate characters on the screen. Effects can include attack increases, defense decreases and more. 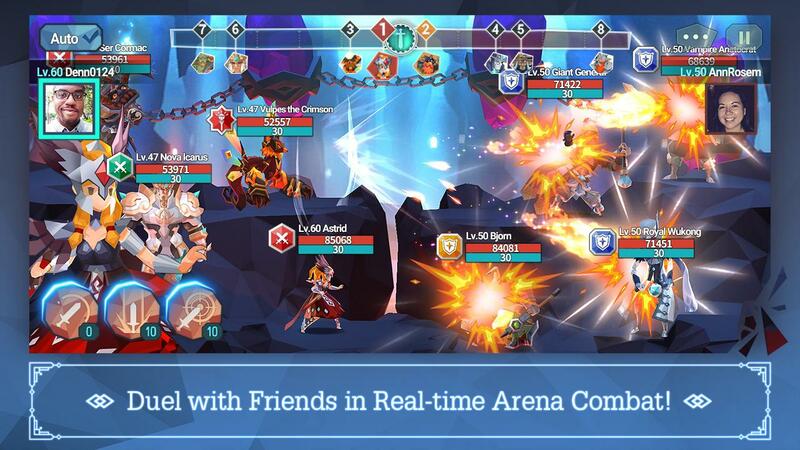 · Real-Time PVP System - Phantomgate utilizes real-time synchronization to deliver intense combat between players thanks to strategic use of the buffs and debuffs which appear during battle and can be used by either player. Bubble Combat system. · Phantom Evolution System - As players explore Midgard and evolve their Phantoms, they will have a choice in how they steer their companion's advanced evolutions. By choosing to evolve with specific items, players will have a number of alternate Phantom evolutions to choose from - all with different looks, elements and abilities to utilize. 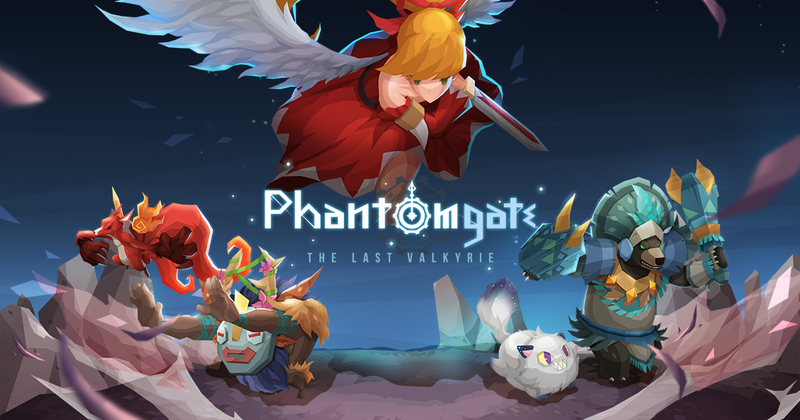 "As an all-new IP, the Phantomgate team aimed to provide players an enjoyable story with relatable characters enhanced by some of the best in-game graphics found on mobile devices along with the deep gameplay mechanics fans are used to seeing in Netmarble games. We’re excited to bring Astrid’s journey to life and look forward to supporting her – and the player’s journey – with future updates to the game,” said Jung-ho Lee, Division Director of Netmarble. · To participate, players can find in-game hints by completing missions as they play. After discovering these hints and finding the Easter Egg, players can add to their score and increase their event rank.